It seems like we always have issues with cat food around here. 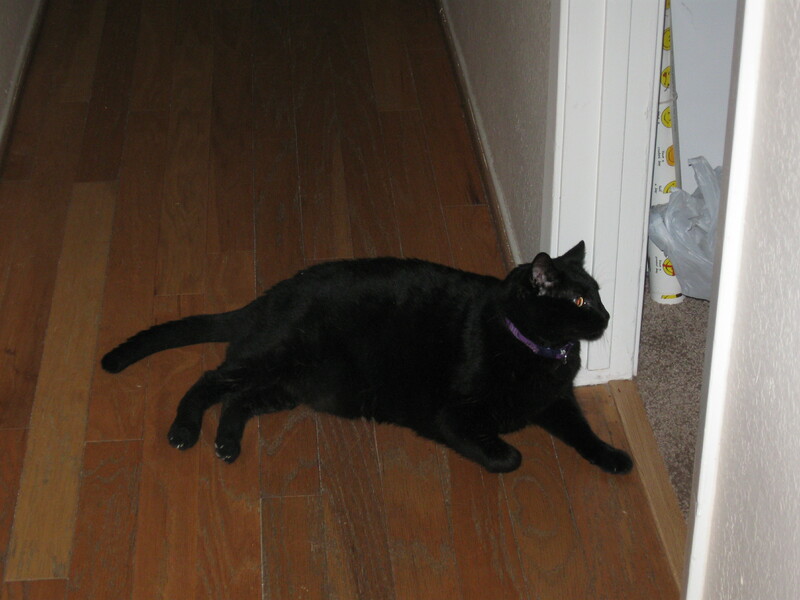 Blackie likes the creamiest of pate style food, but our local grocery stores and one of the pet store chains have stopped carrying the Iams style that meets his picky tastes. The mom and pop pet store only carries the kind of pet food not found in grocery stores.The mom and pop place carries the other kind he likes, the Nutro pate, but it is in the big city next door and I try to pick up food there only when I am in the area, no special trips if at all possible. Add to that the fact that it was another type of Iams food that cost me $500 in vet bills with Lumos when his face and ears turned a bright pink, and the vet said to go back to feeding him what I was feeding him before, which was Fancy Feast, and I have to go to three different stores to pick up what my cats need/want. Last night, as I was feeding cats before we went to bed, I realized we were low on food for both Blackie and the Wrecking Crew. I ended up staying up a little longer and decided to take a look at Amazon, to see if they had the increasingly elusive Iams pate. We got a Prime membership about two years ago and keep forgetting to cancel it, so I had free one day shipping for orders over $35. It turns out I was able to order everything I needed at prices at or slightly below what I pay at the stores. And, it all ended up on my doorstep by 9:40 this morning, just 10 hours after I ordered it. Darn you, Amazon, you make it so easy to sit on my rear at the computer and never leave my house! I am not endorsing anything here, just expressing my amazement at how quickly that all went. But I am happy I didn’t have to run all over town to make my cats happy. FYI, if you have a cat that likes a creamy pate, I have studied them all and Iams and Nutro have the two that fit that bill the best. Believe me, I know. Bonus, all that cat food came in a box that Youngest Daughter can use to pack up more stuff for the big move out. LOL!